David Letterman will exit the "Late Show" with a lot of star-power by his side. Former President Bill Clinton, Oprah Winfrey and Julia Roberts are among the guests who will appear during his final full week as late-night host of the CBS show. Clinton will grace the "Late Show" stage for the tenth time next Tuesday. Meanwhile, Howard Stern and comic Don Rickles will appear on Monday's show, Adam Sandler will pay a visit on Tuesday, Roberts and singer-songwriter Ryan Adams will be on Wednesday, George Clooney and Tom Waits appear Thursday, and Winfrey will be featured on Friday's episode with comic Norm MacDonald. 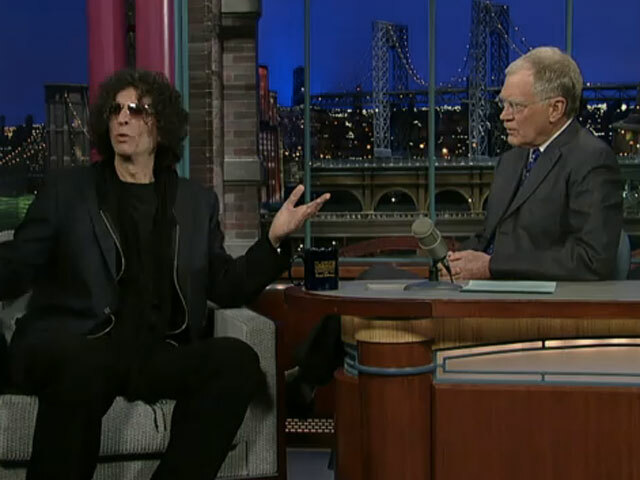 And Letterman will interview his longtime bandleader, Paul Shaffer, on Wednesday's show. Th 68-year-old entertainer will host his final "Late Show" on Wednesday, May 20. Guests have not been announced for the final three episodes yet. Fellow late-night host Jimmy Kimmel said this week that he would be airing a repeat episode on May 20. Stephen Colbert will take over hosting duties for Letterman later this year.